This topic contains 12 replies, has 9 voices, and was last updated by William Thirteen 2 months, 1 week ago. I am trying to locate the date of birth and the date of death for Martha Kuntzel. If anyone has any information could you please assist? Also this may be a long shot but are there any records of the birth date and death date of Ankh-f-n-khonsu? Martha Küntzel was born in 1857, she died in 1942 in a home for aged teachers by senility (aged 85). Source: “In The Continnum” Vol. IV Nº 5, Oroville 1989, p. 44. There is no official documentation on her, so I have no specific dates. Maybe the Swiss O.T.O. which – as far as I know – owns all her writings published and unpublished can help. Peter-R. König “The O.T.O. Phänomen REMIX” also has the birth year 1857, but says nothing about the death year. The Grosche biography “Gregor A. Gregorius – Mystiker des dunklen Lichtes” says on page 41: “Viele Jahre danach wird die Hitleranhängerin Martha Künzel [sic] in einem KZ sterben.” (=”Many years later [after the blow-up with Crowley] the Hitler-adherer Künzel will die in a concentration camp”). . . 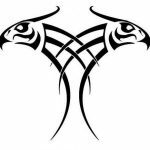 The request for the birth/death data of Khonsu is far more difficult. The ancient egyptians reused sacred names: for a priest, this was a tradition. I have seen a mummy case with this name in the Carlsberg Glyptotek in Copenhagen; but, also know that there is one in Cairo. (If I am not mistaken?) Finding the correct birth & death date is highly speculative, but could possibly be narrowed down. The spelling that AC was given, is no longer used. There’s been a lot of work on Ankhefenkhons I’s historical background, some of it by very skilled members of this site, and I’ll be referring to it in passing in my talk at Treadwells next week. The remarkable thing, I think, is that Ankhefenkhons I is possibly becoming the most well-known, best researched of all the 2,700 year old Egyptian priests! As for the sarcophagus and other bits-and-pieces from the cache that contained the stele, searches of this site will prove constructive, as will some browsing of the Ankhefenkhons Gallery. Ah! Ok. So the ‘stele’ was found in the cache including the sarcophagus of the first priest of this name on record?- I was not aware of that. Any chance that you can film & post your presentation for those of us who cannot be there? . . .
About Küntzel: After reading some more König, it seems that the KZ-story comes from Eugen Grosche, who told this version after WW2 in “Blätter für angewandte Lebenskunst” Lektion 112. The date of this publication is not clear, but there is mention of a lecture hold on 17.2.1951 in the same issue. The recreation home story is from Friedrich Lekve a follower of Buber’s Chassidism, who studied Thelema under Küntzel (“Soror I.W.E.”) He said he was “until the last moment of her life … with her.” He gives the death date of 8.12.1942. 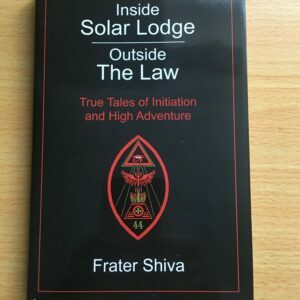 The alleged foreword by Küntzel (“S.H.Soror I.W.8° = 3° A.’.A.’. “) in the book of Thoth is a fabrication of Crowley. 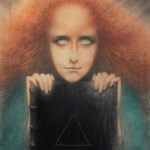 Martha Küntzel is the ‘only’ historical existing link between Thelema and ‘the Nazis’. 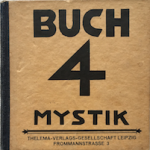 In contemporary left-wing watch-dog publications about the German far right, she is mentioned as ‘grand mistress’ of the ‘occult political’ ultra right-wing of the 1920’s and 30’s. Yet Martha Kuntzel did attain the high grade of Magister Templi: an achievement of the highest order. Nobody — however enlightened — is infallible. 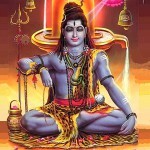 Nobody — however enlightened — is infallible. That’s poor. Not making a stick either for Martha or Adolf or Edward, if I would ask to give a comment about their ‘ideas’, I would point to contemporary ‘on-going’ ‘situation’. (in a ‘political’ sense). 1. Die Gedanken als Schöpfer unseres Schicksals. * Theosophischer Kultur-Verlag, Leipzig 1923. New edition is available (and one can even find it on eBay): Graz 2013, ISBN 978-3-902881-44-1. 2. Die Erziehung des Kindes**. Theosophischer Kultur-Verlag, Leipzig 1925. 1. 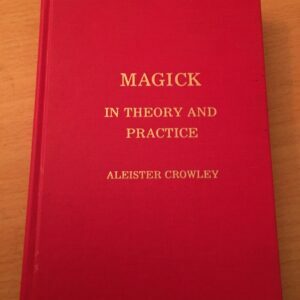 Helena Petrovna Blavatsky, Aleister Crowley: Liber LXXI. Die Stimme der Stille. Die beiden Pfade. Die sieben Tore. Mit einem Kommentar von Meister Therion. Thelema-Verlags-Gesellschaft, Leipzig 1928. 2. Aleister Crowley: Buch 4. Thelema-Verlags-Gesellschaft, Leipzig 1927. 2 Bde. Teil 1: Mystik. Teil 2: Magick. Psychosophische Gesellschaft, Zürich 1964. 3. Aleister Crowley: Kurze einführende Aufsätze. Thelema-Verlags-Gesellschaft, Leipzig 1927. 4. Aleister Crowley: Berashith = Berašit. Thelema-Verlags-Gesellschaft, Leipzig 1928. 5. 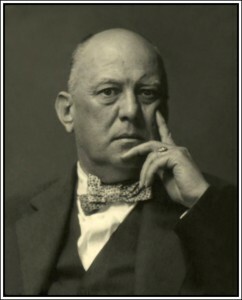 Aleister Crowley: Die Botschaft des Meisters Therion. Übersetzt von Karl Germer und Martha Küntzel. Thelema-Verlags-Gesellschaft, Leipzig 1928. Enthält: Liber 837: Das Gesetz der Freiheit. Liber 150: De lege libellum. Die Methode von Thelema von Gérard Aumont. 6. Aleister Crowley: Die wache Welt. Eine Geschichte für kleine Kinder und Säuglinge. Mit erklärenden Rand-Bemerkungen in Hebräisch und Latein, zum Gebrauch der Weisen unde Verständigen. Thelema-Verlags-Gesellschaft, Leipzig 1928. 7. Aleister Crowley: Wissenschaft und Buddhismus. Thelema-Verlags-Gesellschaft, Leipzig 1928. 8. Aleister Crowley, Helena Petrovna Blavatsky: Liber LXXI : Die Stimme der Stille : Die beiden Pfade : Die sieben Tore. Thelema-Verlags-Gesellschaft, Leipzig 1928. 9. 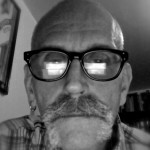 Gérard Aumont: Die drei Schulen der Magie. Genossenschaft Psychosophia, Zürich 1956. 10. 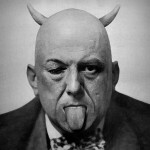 Aleister Crowley: Harpokrates – Annahme d. Gottform. Psychosophische Gesellschaft in d. Schweiz, Stein AR 1956. 11. 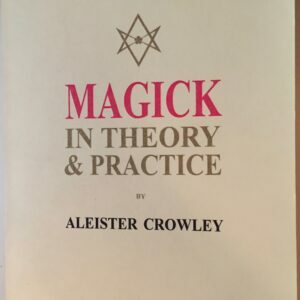 Aleister Crowley: Liber Aleph vel CXI. Das Buch von Weisheit und Narrheit ; in Form einer Epistel von 666 dem großen wilden Tier an seinen Sohn 777. Ansata, München 2003, ISBN 3-7787-7243-0. She was also a composer of musical pieces for piano “Pierrot’s Serenade” and “Impatience (Ungeduld)”. your #1 and #8 are the same. I believe #3 was translated by Germer. #9 is a Swiss reprint of the original Thelema Verlag edition. Also, do you have positive evidence that she is the composer of those musical pieces? I believe that is another woman with the same name and this is but a wikipedia collision.